Mr William Atkinson has been a rural health and safety consultant since the late 1990s firstly with ACC, now self-employed. A part-time avocado and tamrillo orchardist for over 20 years. Several times chair of Auckland Section NZIAHS, currently since 2016. BAgrSc (Massey) 1971; MApplSc(Hons) (Lincoln College-Cant) 1987-(Agricultural Education). 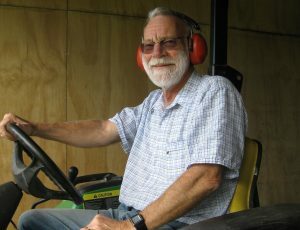 Early career was tertiary teaching agricultural mechanisation, 1970s to 1990s in New Zealand, Australia, Samoa and Papua New Guinea interspersed with consultancies in Indonesia, China and Fiji, and horticultural advising, MAF, Pukekohe. HoD Agriculture, Horticulture, Equine studies – Waikato Polytec 1995-97.